The ASN Federation welcomes martial artists, nunchaku practitioners and all people interested in the nunchaku world wide! 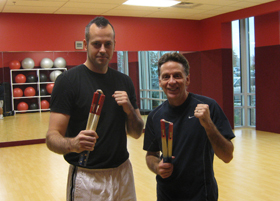 The ASN Federation was founded by Nunchaku-Grandmaster Michael L. Burke in March 2010. The headquarters is located in Virginia, USA. The purpose of the federation is to act as authority and main organization within the martial art of American Style Nunchaku. Grandmaster Burke founded the American Style Nunchaku in 1992 as a complete martial art with its own ranking system, making nunchaku training also available to those people who were not interested in traditional karate or kobudo. The ASN Federation’s mission is to regulate ranking procedures and instructor certification, and bring structure to the American Style Nunchaku. The American Style Nunchaku Federation is THE ONLY authority in American Style Nunchaku in the world. Ranks not issued by the ASN Federation or by a ASN-Certified Instructor are not considered valid. We therefore invite all ASN Practitioners to have their ranks renewed and recognized by the ASN Federation. Contact us for more information about the ASN Federation or rank renewal procedures. As Grandmaster Burke says: Keep Swinging! 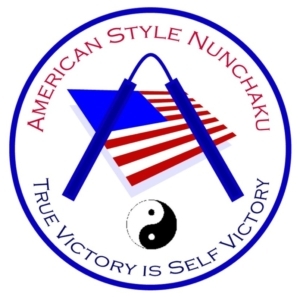 The mission of the American Style Nunchaku Federation is to promote and spread the complete marital art of American Style Nunchaku, nationally and internationally. schools, clubs and associations will be members of the ASN Federation. All ASN instructors will be certified through the ASN Federation and all belt ranks will be registered. The goal is to bring structure to the American Style Nunchaku and to show professionalism and seriousness towards the martial arts community. Personal Membership is for every practitioner of American Style Nunchaku that wishes to have a personal relationship to the ASN Federation. As personal member you have direct access to Grandmaster Burke and you can be a student directly under him. If you wish the ASN Federation can also put you in contact with the closest certified instructor if you wish instruction in person. All certified instructors must be personal members of the ASN Federation. School Membership is for martial arts schools, clubs and associations that teach American Style Nunchaku as a part of their curriculum. Students at member schools have the same status as personal members in the ASN Federation. Every school must have at least one personal member, usually the instructor. 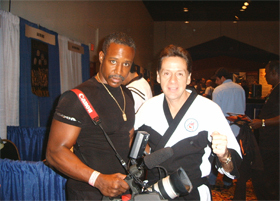 The American Style Nunchaku Federation does not automatically recognize black belt practitioners as certified instructors with the right to promote other students. A black belt practitioner may not necessarily have the required knowledge about the standards of the ASN Federation. Therefore the ASN Federation requires that instructors pass a written test to ensure that they have this knowledge before they can start to issue rank in American Style Nunchaku. This test may be done at the earliest after passing the 1st degree promotion. No colored belt practitioner can become a certified instructor. It is very important to understand that the ASN Federation does notrecognize any ranks in American Style Nunchaku awarded by a non-certified instructor. All black belt ranks are issued by the Federation headquarters on official paper. Any black belt practitioner with a non-official rank certificate will not be recognized and ranks issued by such person will not be valid. Please read the documents in the right column for more information about the regulations regarding instructor certification. If you have questions about taking the class or how to advance in belts, please check out the official site to get started. click on the logo on the right!